Happy Bloom Day. 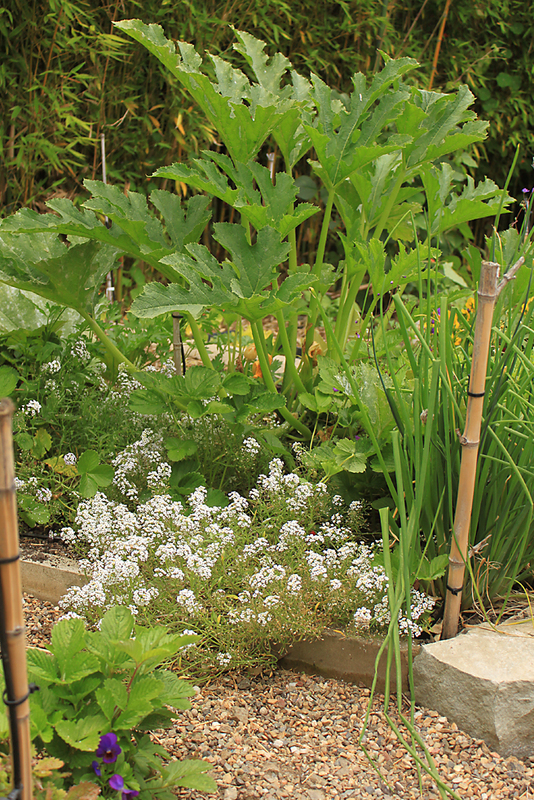 Our garden is in a little bit of a transition phase. There are a number of things blooming, but none of the showier plants. A lot them need deadheading, frankly, but I’ve been working on other types of projects in the garden. So this is a bloom day post, but also a ‘state of the garden’ post. 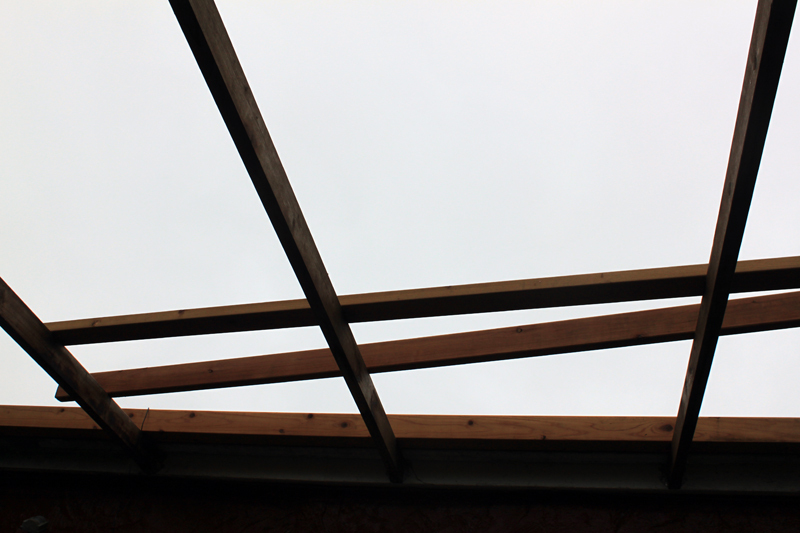 One project happening is the upgrade of the roof over our front porch. It was made sheets of corrugated metal. The seams between the sheets would leak and the sheets weren’t quite as wide as the porch, so rain would run off and splash everything, making it pretty much a failure as a roof. Also, it blocked light from our living room. Anita convinced our landlord to replaced the corrugated metal with some kind of clear material that would cover the entire porch. 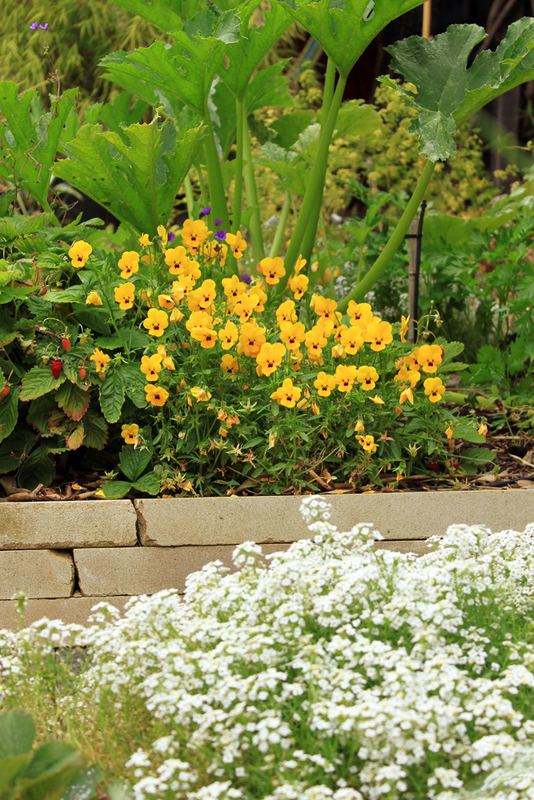 There are also plans to collect the stormwater in a basin and use it in the garden somehow. I’m not entirely sure what they are planning, but our living room is much brighter and more pleasant without the porch. Instead of that project, I’ve been involved with a number of smaller tasks throughout the garden. 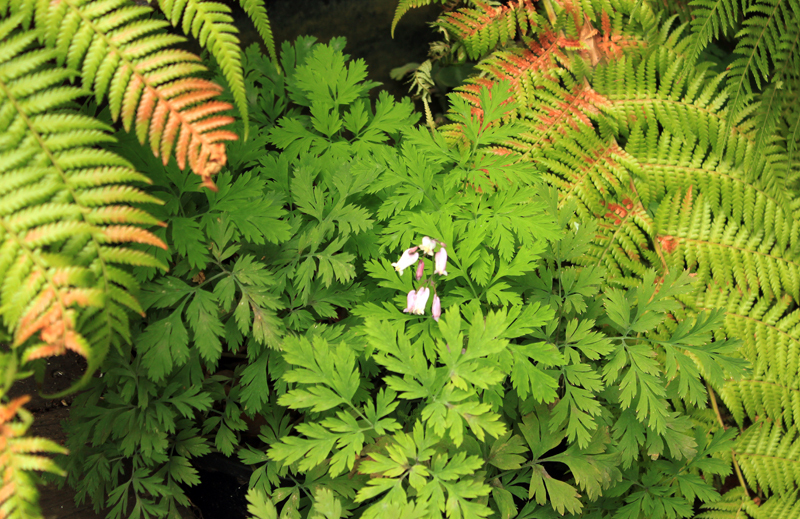 The fronds on the Tasmanian Tree Fern got sunburned without the roof, but it’s already putting out new fronds. The Oxalis oregana started looking ragged too, and it was time to repot them, so I divided them and moved the containers to another part of the garden. The Bleeding Heart seems happy with the extra sunshine. 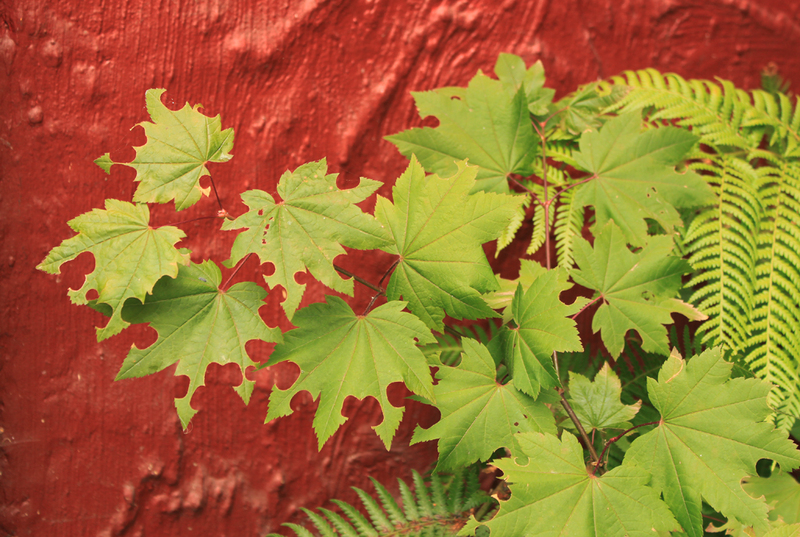 The Vine Maple is happy, too, though it recently drew the attention of leafcutter bees. I think some of the cut leaves look cool. 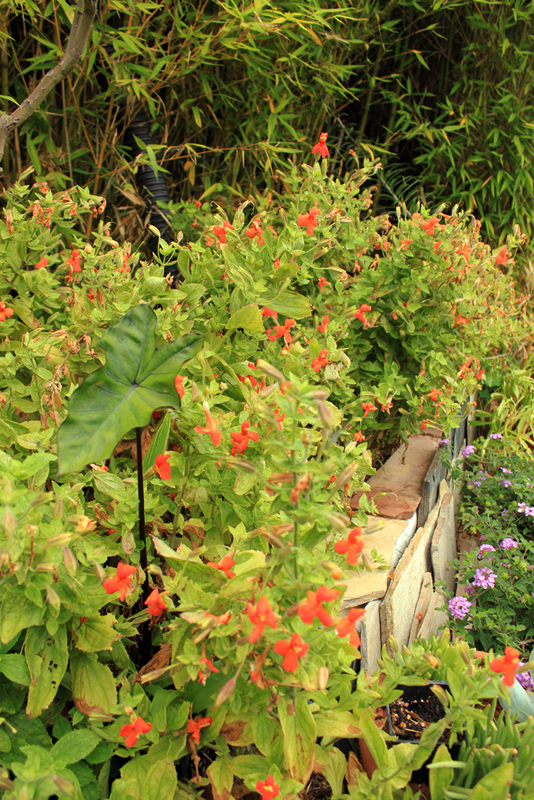 The Mimulus cardinalis is blooming in the bathtub planting, but somewhat raggedly. We moved the bathtub when we built the garden shed. The tub was set deep in the ground in the last spot, but I didn’t feel like digging another large hole, so instead I’m covering the edges of the tub with scrap pieces of flagstone. I’ll probably tidy it up at some point, but for now I’m fine with just leaning the stone against the tub and letting the plants cover most of it. I recently added a pipe to carry the stormwater from the new garden shed down into the tub planting. Though if we have more winters like this past one, that won’t amount to much stormwater. Colocasia ‘Black Magic’ used to be have a stronger presence in the tub, but the Mimulus has taken over in the new location. There is still some stream orchid beneath the Mimulus, but I need to pull that out and plant it somewhere else, which is a shame because they coexisted nicely for several years. The Mimulus is reseeding in all of the pots around the tub, not hard to control, but I don’t have a use for such a water-loving plant. 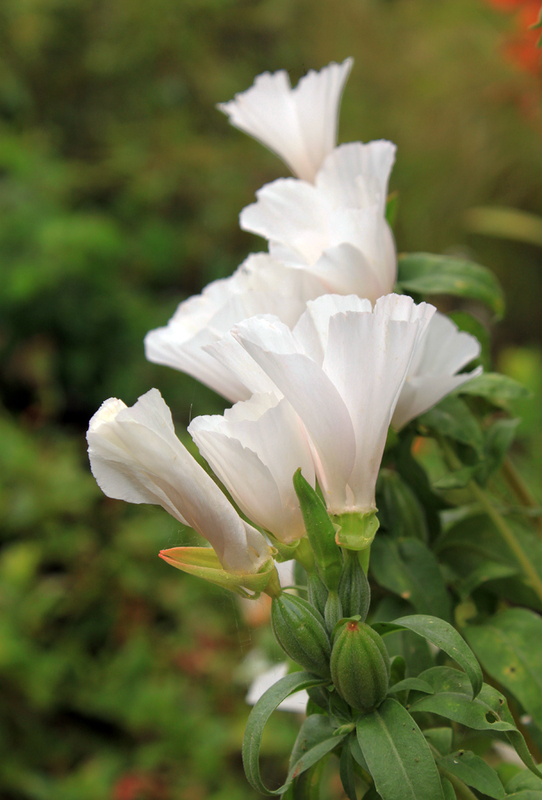 Clarkia amoena is the last of the native annuals from the seed mix I scattered last fall. We had masses of Clarkia unguiculata. 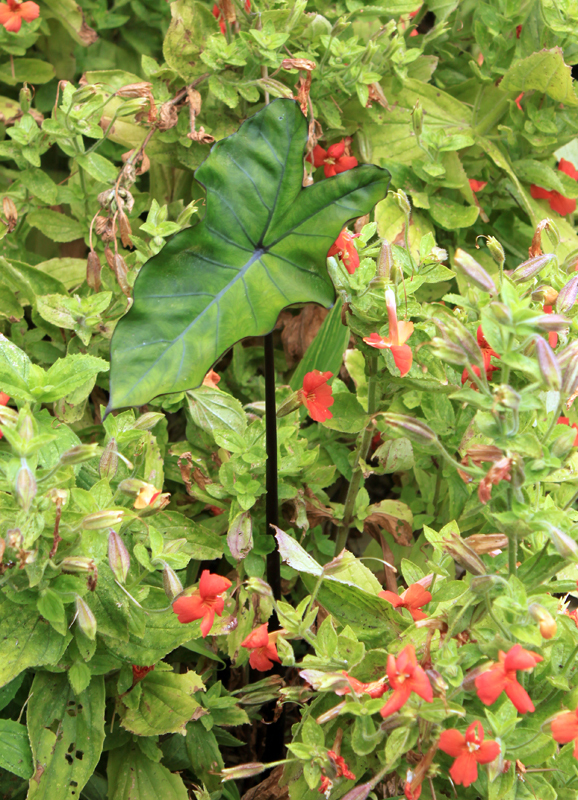 I had never grown it before and realized as soon as it bloomed that I don’t really like it. I like C. amoena a little better, but they’re both too pink for me; Clarkia bottae is my favorite of the Clarkias. In the planting bed in front of the garden shed/office, the Clarkia was mixed in with Agastache and Calendula, which looked a lot better. I took a couple of photos of that last month, but never did a bloom day post. Now the Clarkia needs to be pulled before it reseeds and the Calendula is ready to be cut back. 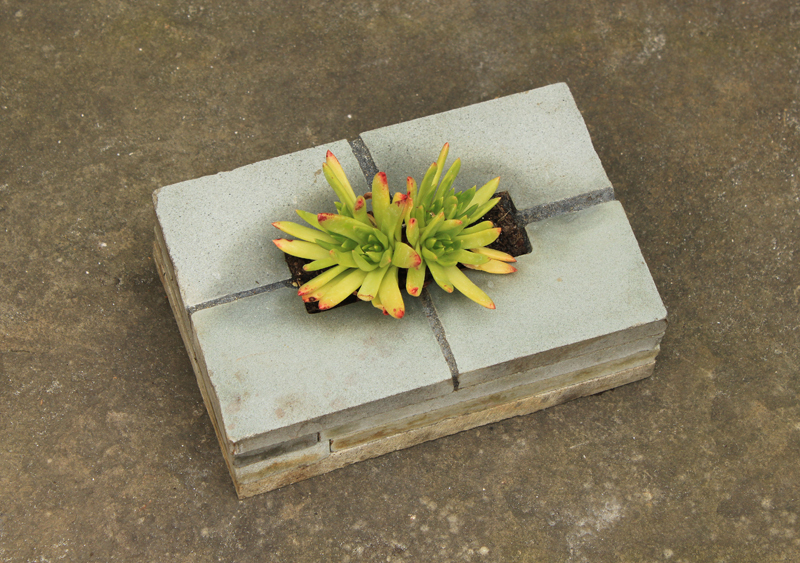 Last fall I posted a photo of this little container I made out of stone scrap, which has very little space for roots. 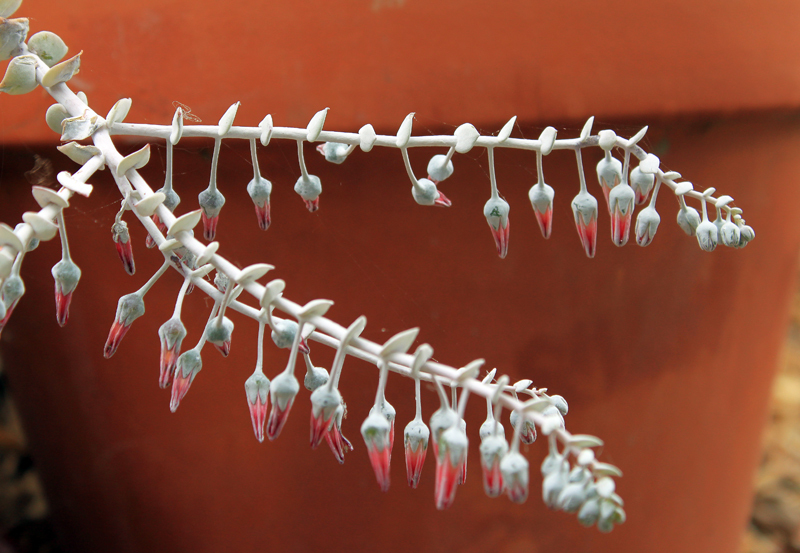 I considered trying to bonsai something in it, but instead I ended up putting a Dudleya farinosa in it. It’s doing well, though the container is getting a little smudgy. We have a lot of Dudleyas these days, enough that I’ve lost track of what some of them are. Last weekend I made a landing step for the office/garden shed and putting in path fines and stepping stones leading to it. 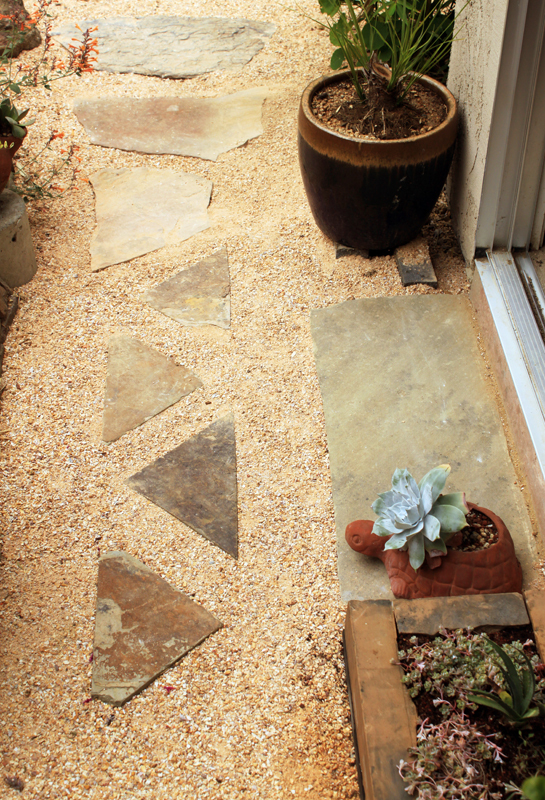 The triangles of stone are from a project almost five years ago. 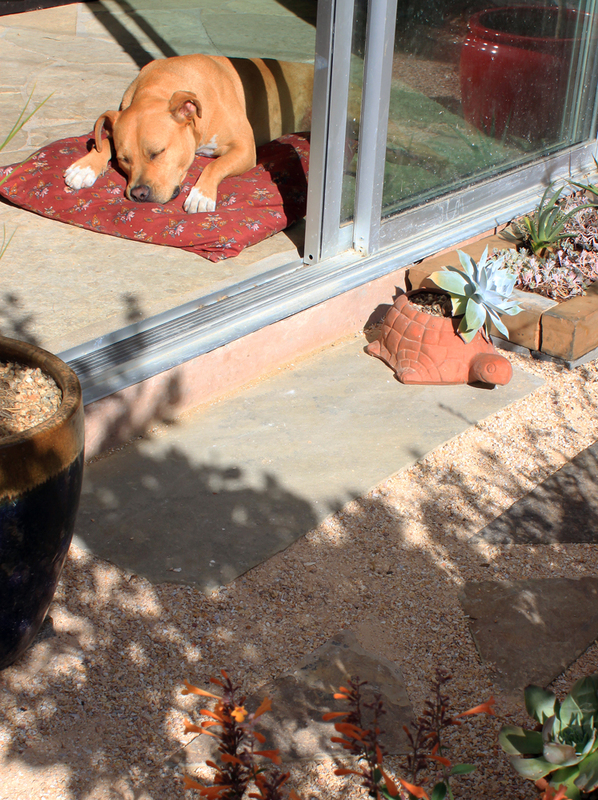 They’ve wandered around the garden, but have probably found their permanent home, though I see that one of the Arizona flagstone pieces needs to be moved an inch or two now that I’ve swept everything off. I also made a low, wide planter beside the step, planted with Agave utahensis, Sedum spathulifolium, and Monardella macrantha. I might show it more clearly when the Sedum has recovered from transplanting; it looks a little ragged from being handled. And I have one more area where I edged the path fines with yet more scrap stone. The stones are laid out but not set in the path fines yet. When they are set, I will have used up almost every stray bit of stone knocking around the garden. I don’t know if that sounds like a lot of work, but it feels like I’ve crossed a lot of things off my to-do list. Next bloom day post I’ll focus more on flowers. 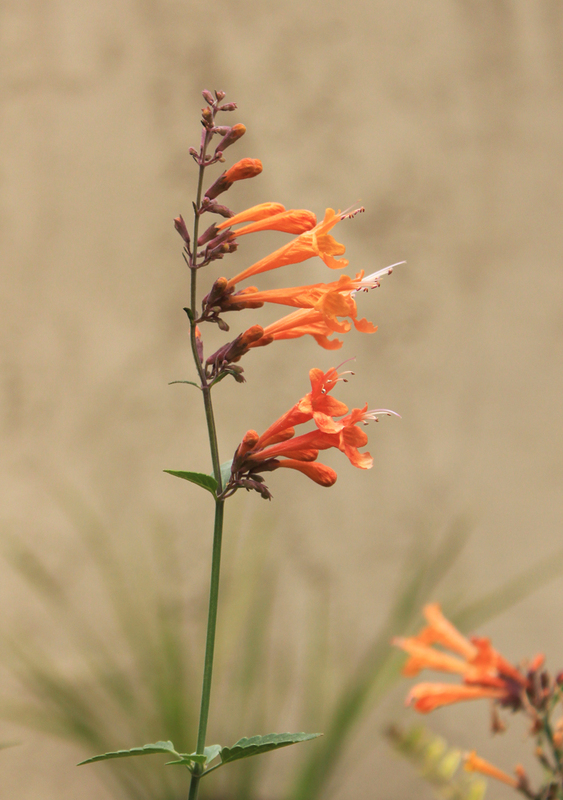 For a bigger bloom day flower fix, check out May Dreams Gardens where Carol has a lot of nice photos of her flowers and there are over a hundred links to bloom day posts by other bloggers. My thanks to Carol for hosting. This entry was posted on Monday, July 15th, 2013 at 9:49 pm and is filed under garden bloom day. You can follow any responses to this entry through the RSS 2.0 feed. You can leave a response, or trackback from your own site. You projects look cool. It seems my projects always expand. One project turns into 9. etc. 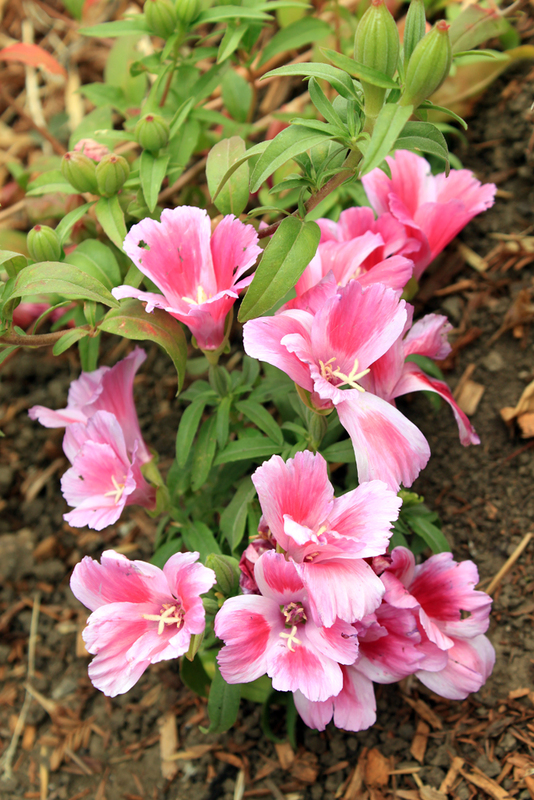 LOVE the Clarkia…we saw them blooming profusely at Annie’s Annuals and they were amazing! Thanks Greg. I know what you mean about projects multiplying. I think that’s why I’m so pleased that me list has shrunk down at least temporarily. Scott, it’s good to hear positive about the Clarkia. I usually like them, but I was a little taken aback when the Clarkia unguiculata turned out so electric pink. It colored a little bit my appreciation for the Clarkia amoena which is a nice flower.